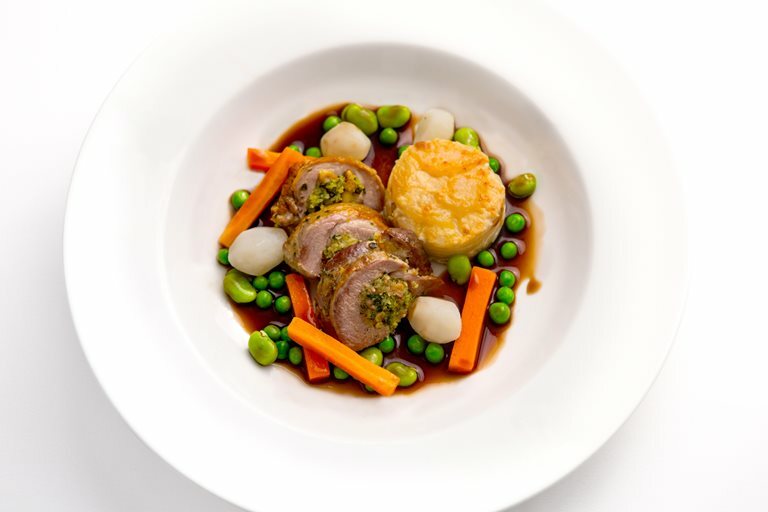 This roast lamb recipe makes a great centrepiece for special occasions such as anniversaries – Bryan Webb has cooked it successfully many times for parties at Tyddyn Llan. Get your butcher to bone the saddle of lamb for you because it’s a tricky job to do at home. Ideally you would make the stuffing the day before roasting. The potato dauphinoise varies slightly from the traditional recipe, but is less time consuming and still tastes as good as the classic method.